Awarded Africa’s leading meeting and conference destination, Durban, situated on South Africa’s west coast is the hottest MICE Destination; taking your events to the next level. The city is well connected, with international and local flights arriving every day. The airport is situated 30 minutes from the city centre and all the facilities. The City is also well connected by the road and all the area infrastructures make it simple to move around the city. Being South Africans’ top vacation destination and one of South Africa’s best business destinations means that Durban’s centre and its surrounding are plentiful with upscale resorts and hotels; satisfying every group size, budget, and expectation. Most of the resorts are situated around the stunning coastline of the city, at a short distance from the city’s most popular venues. With upmarket tourism comes high-standard restaurants; offering tasteful dining options in incredible settings. Local spicy curries, continental tasteful menus… you name it! We will find catering options that will embrace your desires. The venue is essential. This is precisely why Durban invested so much energy in their International Convention Centre. Frankly, it was completely worth it! Not only is it Africa’s leading convention centre, it also was ranked among the top 20 convention centres in the world by the International Association of Conference Centres. High tech, functional and flexible, the 32 000 square meter center will adapt to any requests; its skilled and well trained personnel will make anything happen. Plus, they’ll do it with a smile! How about others venues? The city and its surroundings are filled with high standards hotels offering top-quality event facilities. Independent venues are also an option; settled in unique scenery, they are the promise of an unforgettable event. Durban seems designed to organise corporate events, being technically the best place for your special event. But guess what? 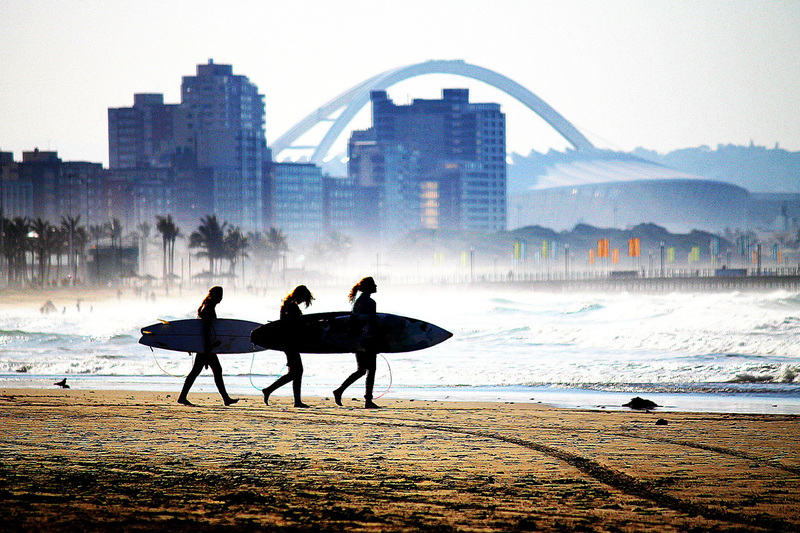 Durban has more than one trick up its sleeve! With its balmy sub-tropical climate, 320 sunny days a year, infinite white sand beaches, surf spots, top diving areas… it’s hard to say you are working right now! Durban literally knows how to combine business with pleasure. A large range of activities are available within the city centre. Just by driving further into the city, one can enjoy luxurious times in the fancy city of Umhlanga Rocks, while others can reconnect with nature, spotting the Big Five on a game drive. The dynamic city offers a blend of cultures distinctive of South Africa, which reflects in the variety of activities, going out and accommodation options. In honour of its Little Miami name, the city promises a rich nightlife; stylish nightclubs, chill bars, smart dining, anything you could look for.